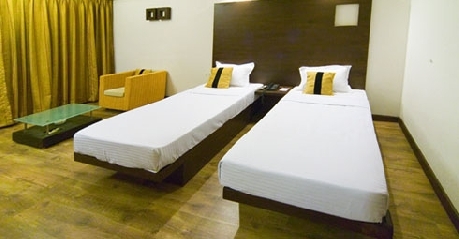 Hotel Emerald Park is located Police Commissioner Office, Sharanpur Link road, Nashik, offering better accommodation options for people who are in the city. It is one of the most popular hotels among business and leisure travelers. It is the strategic location of the hotel that makes it the most popular option amongst travelers. In close proximity are located major tourist attractions. The hotel property is well-designed taking into consideration the needs of present day travelers. Luxury accommodation when coupled with contemporary amenities lets you have an experience like never before. Warm and amicable staff welcomes guests with courtesy and take care of all needs ensuring that they have memorable time during the stay. 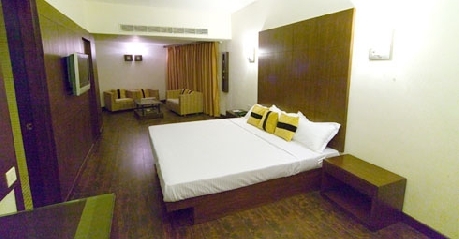 So, if you are in Nashik and seeking luxury accommodation then this is the place to be. 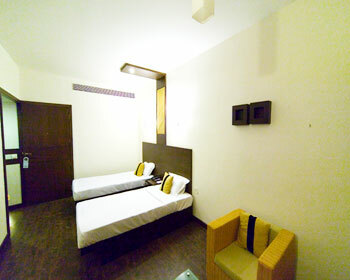 These are the rooms that are meant for those travelers who are having limited budget and are looking for comfortable stay. When you decide to stay here then you can have some of the best moments. 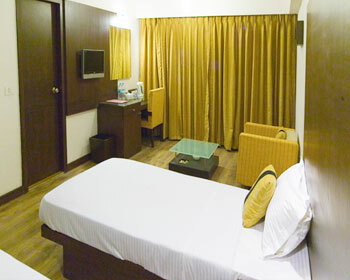 The hotel offers 17 deluxe rooms. Some of the most common and basic facilities that one can get to enjoy are laundry service, doctor on call, 24 hour room service, LCD television with cable channels, direct dial facility, intercom, running hot and cold water supply, tea or coffee maker and safety deposit. There are five rooms under this category and each room is well-designed and equipped with all the amenities that are needed for a wonderful vacationing stay. Placed with elegant furniture and well-done interiors, these rooms are simply the best option for all your holidaying needs. 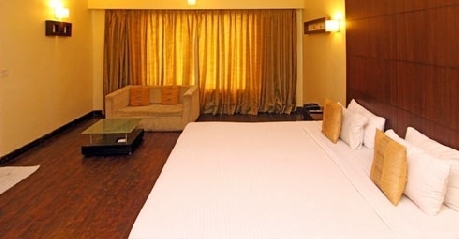 LCD television with satellite channels, 24 hour room service, running hot and cold water supply, doctor on call, intercom, coffee or tea maker, direct dial facility and access to the internet are some of the most basic and common facilities that you might be getting when staying here. There are seven rooms that are available in Club Rooms. For those seeking slightly better services and accommodation option, can choose to stay here and make the most of their stay. 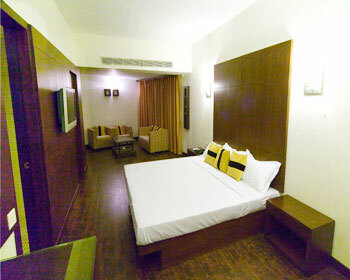 Each room features comfortable bedding, stylish furniture and contemporary interiors that enhance the décor furthermore. 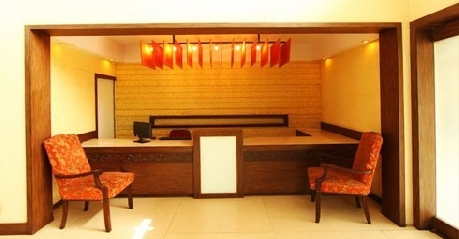 Access to high speed internet, mineral water, 24 hour room service, LCD television with cable channel, intercom, direct dial facility, coffee or tea maker and safety deposit are some of the most basic facilities that you might be getting when staying here. 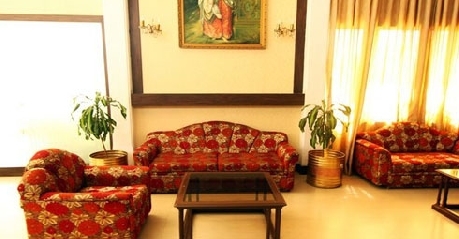 The hotel offers two Presidential Suites that are the right blend of luxury and comfort. 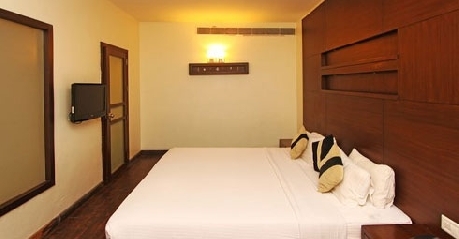 Enjoy the cocoon of ultimate comfort in the well decorated and designed rooms. Each room has a different story to tell. Travelers who are residing here can have some of the best moments as the Presidential Suites are the ultimate spruce of luxury for guests. 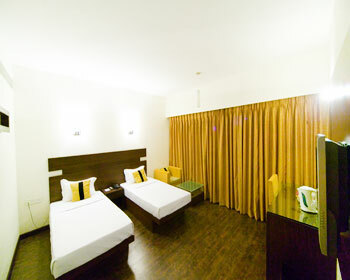 Elegantly placed furniture when coupled with high quality services makes your stay a memorable one. Facilities that you might get when staying here 24 hour room service, direct dial facility, access to the high speed internet, LCD television with cable channels, tea or coffee maker, safety deposit, mineral water, intercom and running water supply. At Jharoka, you will be served with a range of delicious Indian cuisine. The entire decor of the restaurant exudes royal feel while it is the soft lighting that make the entire ambience calm. The menu that you will get here is simply the best option for those who have craving for Indian food. In addition to Indian Cuisine, you can also dig into an exotic range of Kebab and other flavoured main course dishes. Here, you can be assured to have a memorable dining experience. Over the years, it has emerged as one of the most popular dining options for travellers craving for Indian cuisine. Range of briyanis that the hotel serves is known for flavours. Time n Again is the cafe that is meant for travellers who are looking for something unique. Here, you will enjoy a journey through various flavours. The lively as well as elegant lighting sets the mood for interesting conversations. The ambience is simply incomparable with lush green gardens overlooking the hotel. Options of dinner table along with sofas let you have some of the best moments with your near and dear ones. The cafe offers a variety of international, combos, cuisines and sizzlers along with a wonderful range of in-house desserts. It is the only restaurant that serves 24 hours to all its guests. It is a terrace restaurant that caters to tangling buds of tourists from all walks of life. Just imagine dining under the glittering stars with cool breeze blowing all over. Simple remarkable! In addition a steward committed to your service and a barbeque grill further lets you enjoy dining experience. Dig into gourmet’s delight of biryanis and kebabs right here and relish every bite. The restaurant is accessible for dinner only.